Background/Info: Based in Frankfurt am Main, Electro Arc has already been busy for a couple of years now. It’s a small label devoted to different electronic formats –although mainly EBM, and which already revealed bands like Finkseye, Akalotz, First Aid 4 Souls, La Santé, Invasion of Female Logic and a few others. This sampler reveals an interesting selection of EBM inspired formations. Bands: Sieqsonick, Atomzero, Finkseye, Invasion Of Female Logic, W.A.R.D.R.O.B.E., Akalotz, Red Industrie ao. 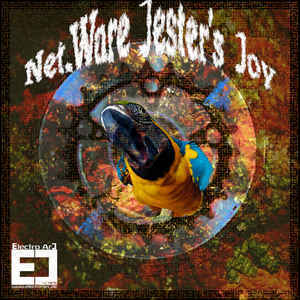 Content: “Net.Ware Jester’s Joy” reveals a nice cocktail between already familiar names and a few promising formations like Sieqsonick, 77XE, Franz Riss, Y-Orbit, Strong Product (featuring a great cover version of Jäger 90) and Altop Voltaje. 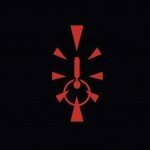 Finkseye is one of the good-old featured EBM formations and the only band with 2 tracks. They bring the kind of body music that might appeal for Pouppée Fabrikk lovers. W.A.R.D.R.O.B.E. and Red Industrie both are bands driven by the creative spirit of minimal-EBM maker Helder Camberos (Mexico). + + + : This is the kind of sampler I really like for the contribution of rather new and promising formations. I also discovered some great EBM work by different bands. I here have to mention Franz Riss and Strong Product while an established artist like Helder Camberos once more explores the minimal side of EBM. Finkseye and Akalotz both confirm their potential. – – – : Compilations are catching less attention and especially when it concerns smaller labels. That will be for sure one of the main obstacles for this compilation. The real minus is the poorly inspired artwork of the front cover. Conclusion: If you like EBM and you want to discover bands you never heard of before, you for sure have to try this compilation, which will give you full satisfaction! Best bands: Strong Product, Finkseye, Invasion Of Female Logic, Franz Riss, Red Industrie, Akalotz.